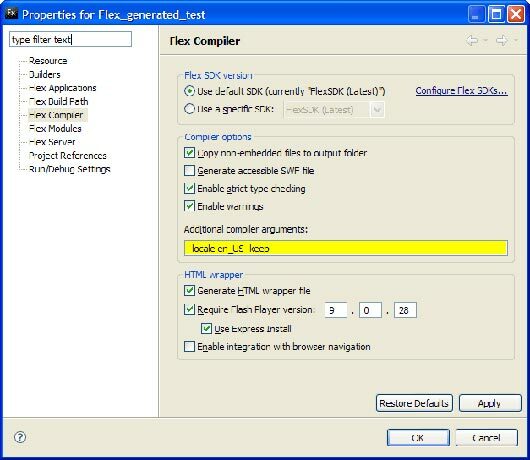 Only one tool who get ride of HTML (Hypertext markup Language) restrictions which is Adobe Flex, considered effectively in web development and below we have “Have an Absolute Command On Adobe Flex [Tutorials]” and these of all flex tutorials listed due to a full day effort because this is hard to find an ultimate useful flex tutorials collection. 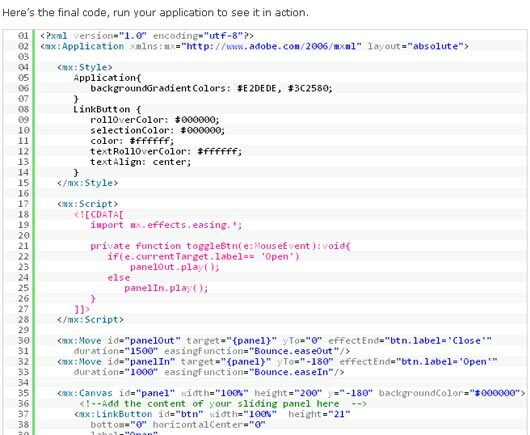 Adobe Flex techniques and tips all things together on one article, this is free open source framework for building expressive applications using easy code base also cost effective, hopefully you will keep bookmark this flex tutorials link and you should share within your social circle as an helping effort. 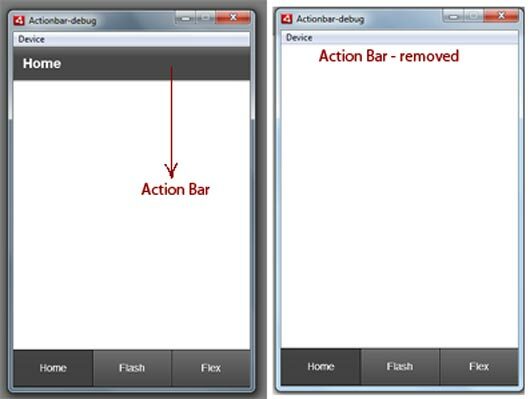 The ActionBar control can be removed or disbled from Flex 4.5 mobile application by ViewNavigator.hideActionBar() to hide or remove the ActionBar control from all the views controlled by the ViewNavigator. 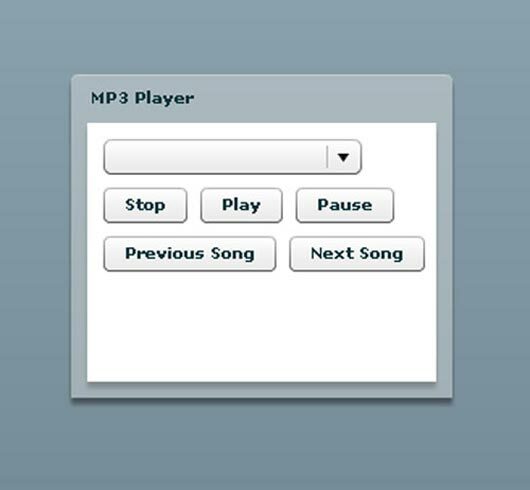 For this tutorial we’re going to use the audioManager actionscript class from dhtmlnirvana to play all the sounds. I’ve been learning Flex for a presentation at my local CFUG, and I’m actually quite impressed with how much you can do with so little code. The TabbedViewNavigatorApplication it self creates tabbed navigation component at the bottom to navigate with in the multiple ViewNavigator section. We are going to see how to customize the look of tabbed view by adding icon to it. 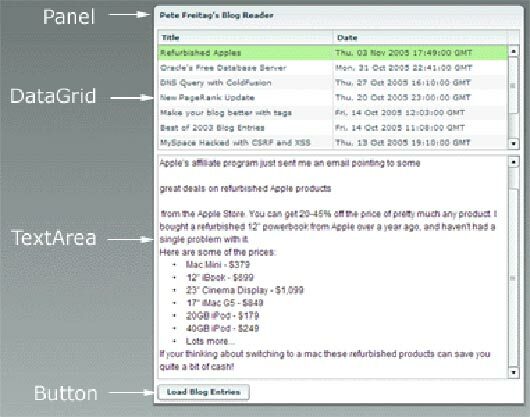 Notable among them is FusionCharts, who provide a module just for Flex. 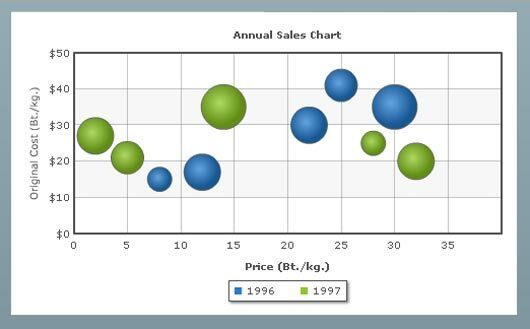 For this example, we will use this suite to create a bubble chart in Flex. 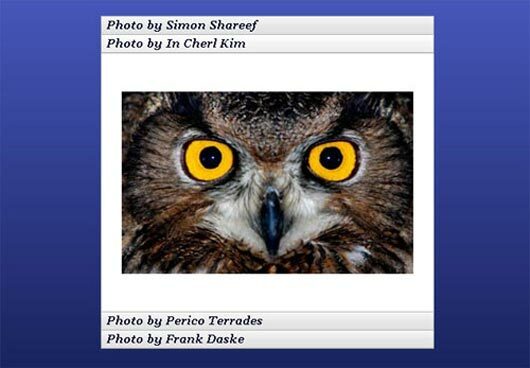 In this tut I’ll demonstrate how to build a dynamic photo gallery using the Flickr API. To add a little extra flair, we’ll harness the power of Away3D and display the photos in a 3D environment. 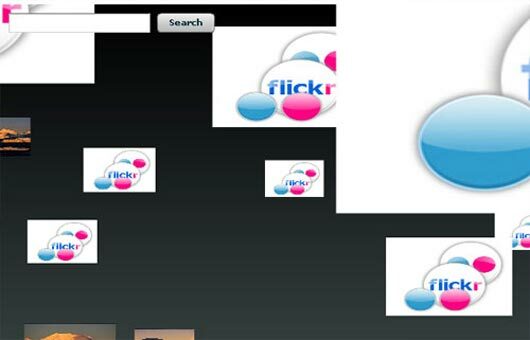 In this tutorial, you will build a desktop Flickr image uploader using the AS3/FlickrAPI and exporting the application as an AIR app. 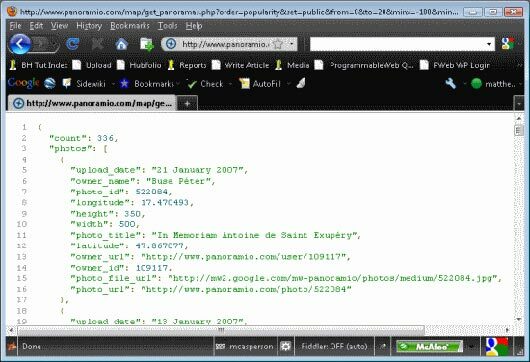 For the sake of the cookbook recipe, I will assume you already have the data you are working with in XML format from whatever backend solution you choose. 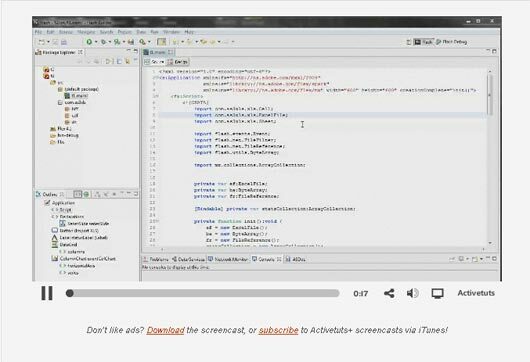 This is the third in a series of tutorials covering implementation of the AS3XLS ActionScript 3.0 library for the Flex framework. We’ll demonstrate how to save an Excel .xls file from modified Flex datagrid controls and also how to write CSV files using the same data to the local filesystem. Creating a countdown timer involves using the Timer class along with the Date class. 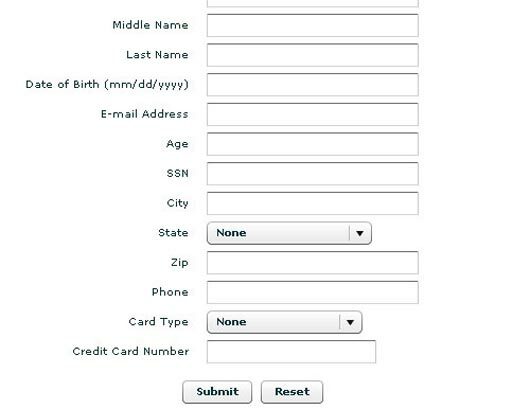 The Timer will be used to trigger a method periodically so that the Date class can be polled for the current time. Before we get into the logic, first we need to define some input and display components for this example. In this tutorial we will be mocking up and finishing a pan and throw class that will allow us to add this effect to any element we want. 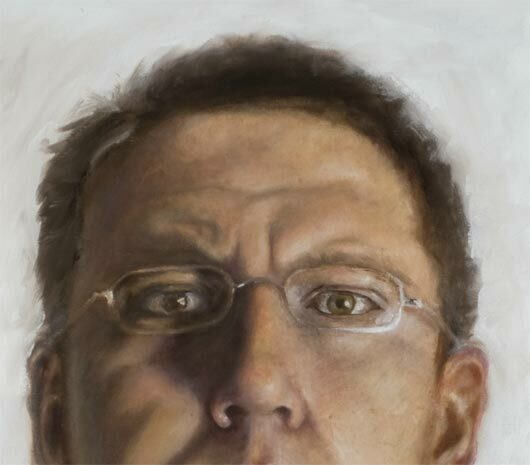 To accomplish this, we will create a image viewer – but not your average viewer. Here we’ll have zooming, throwing, panning.. Almost sounds like a ninja app, huh. Today I am going to show and give out a cool component I have built. The component is built to make it easy to use Alex Uhlmann’s Distortion Effects in a ViewStack based component to rotate to the sides. 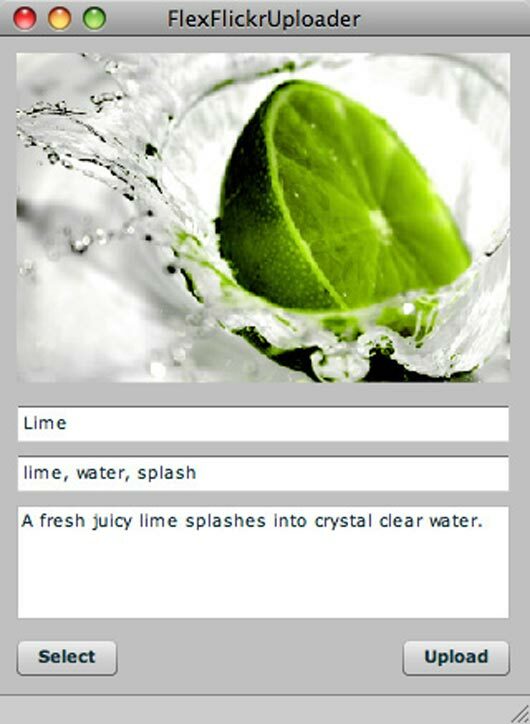 I will show an example application and how to use the component, CubeEffect. Hopefully someone out there will find a good use for the component or at least some use of the source provided here. The following example shows how you can view a Flex application’s generated source code by adding the -keep compiler argument in Flex Builder. This is the first of a several part tutorial that is going to explain how the Tic Tac Toe application was built using Flex and Degrafa. 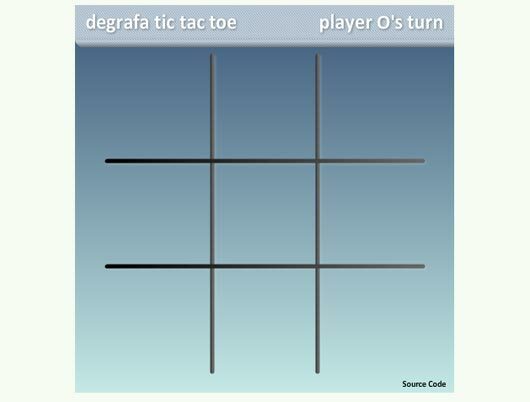 If you haven’t checked out the introduction to the game we are going to build check out theIntroduction to Tic Tac Toe using Degrafa and Flex. 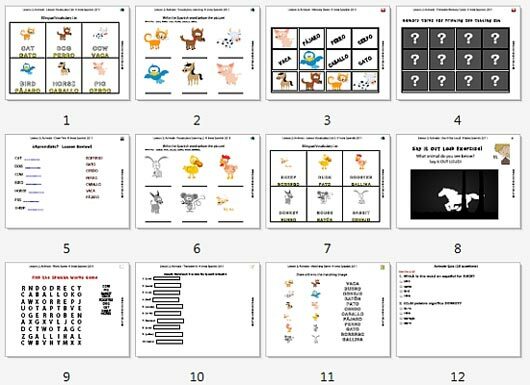 In this first part I am going to go over how to do some basic drawing using Degrafa and creating the game grid. The Flex DataGrid is a very powerful and useful component but there are some things that it just won’t do out of the box. One of the features that is built in but not used by default is custom sorting functions. 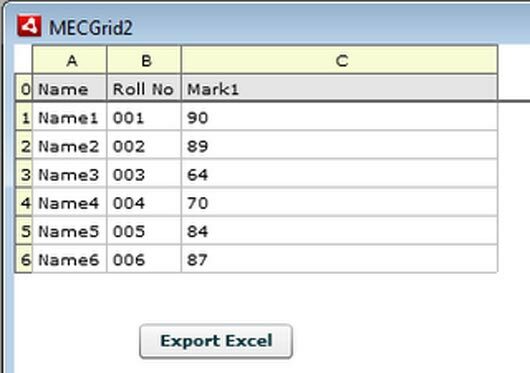 Flexspreadsheet is a DataGrid Component for FLEX and Air project with many custom features added. During this tutorial I’ll take you through the ways in which Flex customizes interface controls. Specifically, we’ll be looking at the TileList element, styling it with Flex’s GUI toolkit. The first part of the tutorial guides you to set up the SharePoint AS3 Connector library and how to connect with SharePoint website using Flash and Flash Builder(Flex 4). In this tutorial you will learn how to retrive data from a SharePoint list and display as XML structured data. Today I am going to run through a smallish tutorial on creating and using drag and drop in Flex using the DragManager class, which is a utility provided to make drag and drop easy. I should also mention, right off the bat, that some things like lists already have various drag and drop features built in. 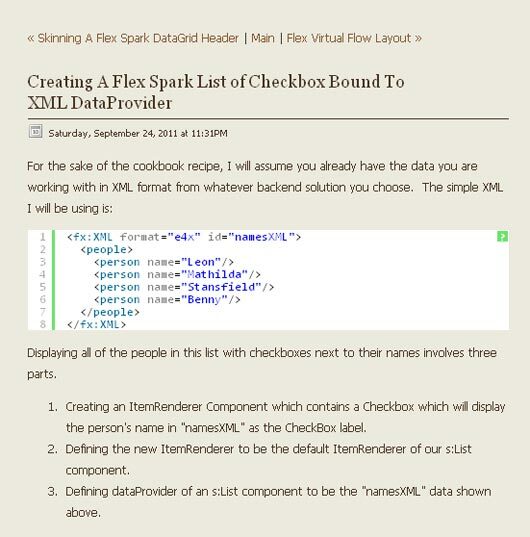 In this tutorial we are going to see how to filter Flex Chart data by consuming a XML data. Knowledge of creating custom MXML component is must before starting this tutorial. 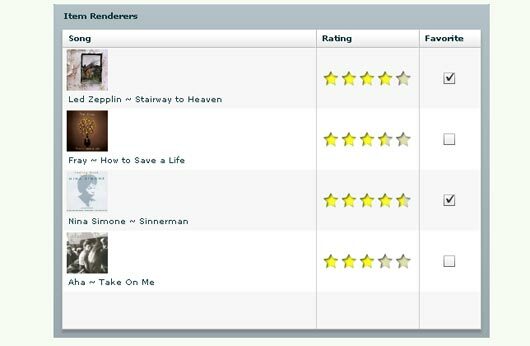 Chart filtering will be useful when creating dashboard application, where user can display selected data as Charts. Many Flash developers use either the Alert class for debugging, or trace statements due to associations with Flash. 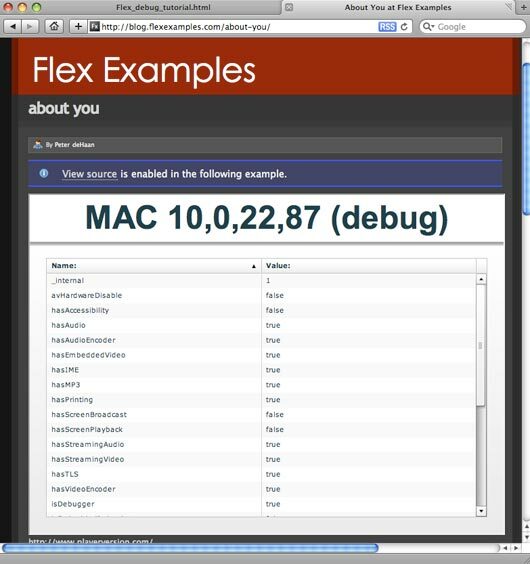 Flex does have a true debugger and it’s a great tool. I’m going to demonstrate how to get to grips with it in this tutorial. One of the coolest and most useful features I use in Flex are item renderers. 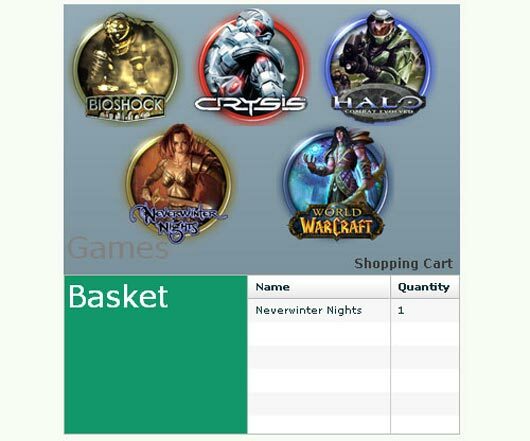 They allow us to customize how lists and datagrids display information. This tutorial is going to show how to use three different types of item renderers, drop-in, inline, and custom components. this tutorial is about. Included is an explanation of how we can send requests and handle their results using simple http web requests. This is the case for making a hand cursor show up for a button or label or practically any other component. Now this is a fairly easy thing to do, you just need to know exactly what attributes to set on the component. This tutorial will show you how to add a nice hide/show sliding panel at the top of your flex application that when clicked will reveal itself. Well this is my first tutorial on Adobe Flex 3 which is a great program if you’re interested in designing applications for the web 2.0 era. Adobe flex is the way to go as it combines several different programming languages in order to make the most out of this program. In this tutorial you’ll learn how to create your own Flex feed reader application. 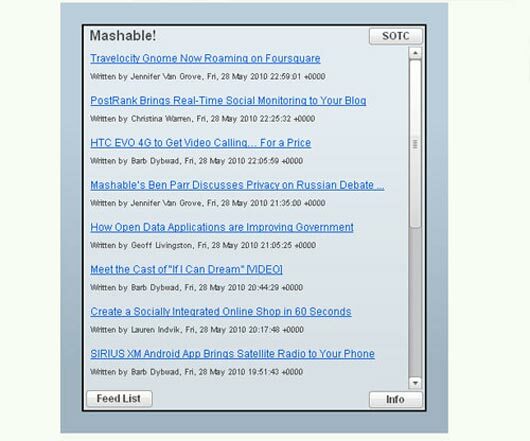 In this case, the final result will be a simple feed reader which can be used in your blog or site to display your favorite feeds.